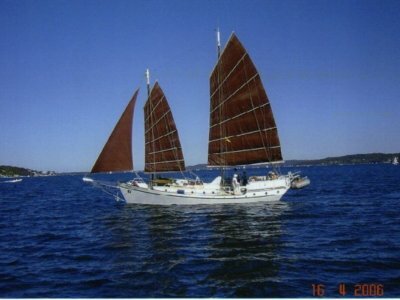 Sea Hunt Marine Brokers have just listed this unique classic yacht that has a special story. 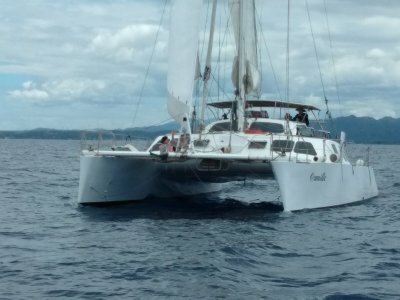 Owned by one of the worlds most experienced ocean voyagers, this remarkable vessel has had an investment of somewhere in the vicinity of $500,000 US. 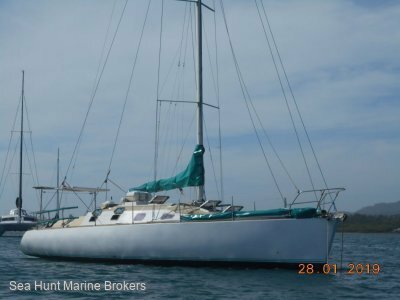 The owner has not compromised to perfect the vessel using the best equipment and materials money can buy. He has circumnavigated the globe three and half times with the vessel presenting like new. It is a far superior vessel now than the day it was launched. Titanium has been used extensively throughout, including for chainplates, bow-fitting, mast tangs, genoa tracks, mast-step etc. Titanium rigging screws and toggles and StayLoc fittings have been used exclusively. The interior fitout is to superyacht standards, with 10 coats of sprayed-on vanish over many of the surfaces. A custom made solid dodger of GRP/Balsa core, makes the cockpit weather proof and cool. The dodger extends aft far into the cockpit and provides the ultimate in comfort at sea and at anchor. Regardless that the hull has never had one osmosis blister, preventative maintenance has been recently untaken with two additional layers of glass and 8 coats of epoxy applied to the hull as well as the application of Copper Epoxy. Osmosis will never be an issue with this vessel. The boat is generously equipped with the best cruising gear. The electronics and electrical equipment is comprehensive. Mechanically she is powered by a Beta Diesel 43 hp diesel with relatively low hours. A Kubota diesel provides backup power if needed. There is ample solar power and a wind generator is mounted on the mizzen mast. 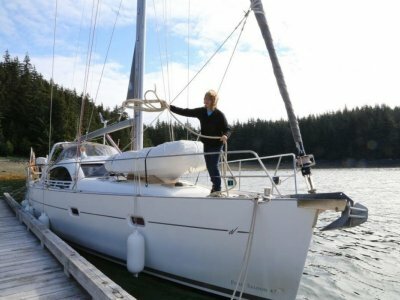 The sail wardrobe is excellent and includes a new furling genoa and lightly used mainsail. The rigging is current and much of it is oversized. A Monitor windvane and heavy duty autopilot are included in the inventory. This vessel is turn-key ready to take off to any ocean. It is the culmination of one mans passion and his love affair with the ocean and particularly this yacht.